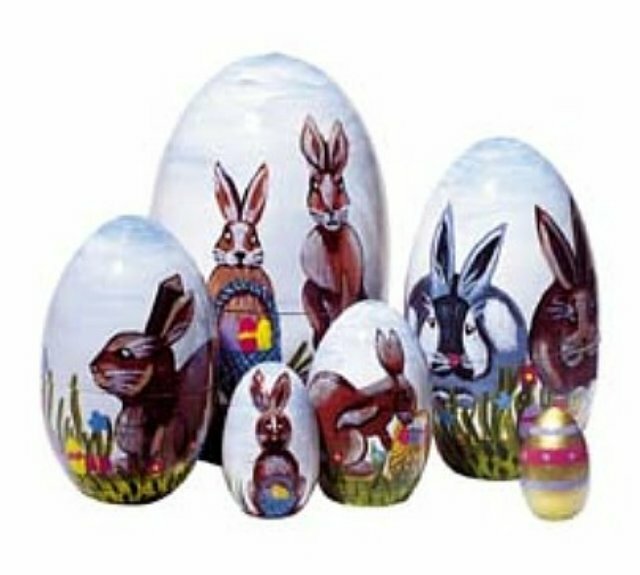 Set of 6 dolls with Easter bunnies, baskets and painted eggs hidden in tall grass. Hand painted egg shaped dolls are 5 inches tall. Inside the smallest doll is a golden Easter Egg.